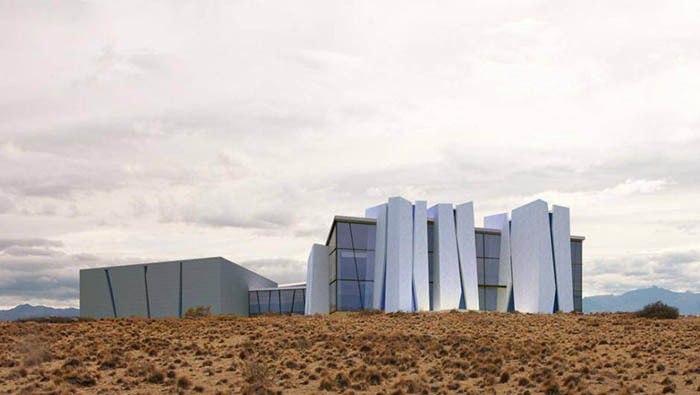 The Glaciarium: combination of efficiency, design and refinement. 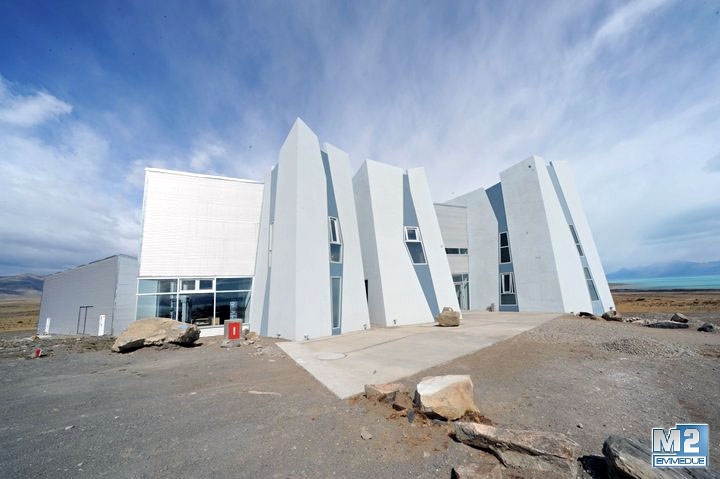 The Glaciarium, a project that covers an area of 3,500 m², consists of a modern glacier interpretation center, built for entertainment and educational purposes on ice and, indeed, glaciers. 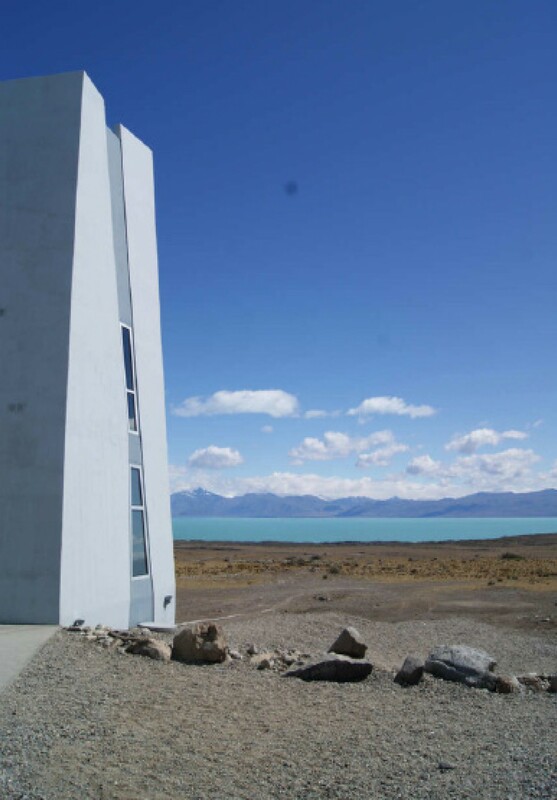 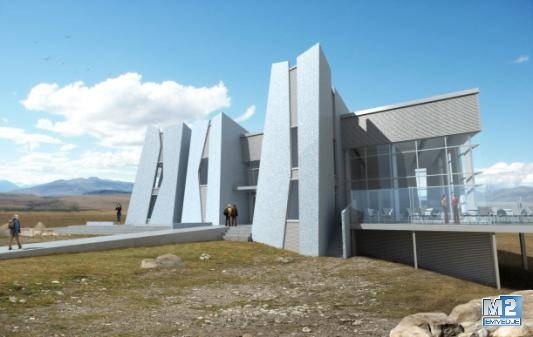 It is located in El Calafate, a small town in southern Patagonia, Argentina. 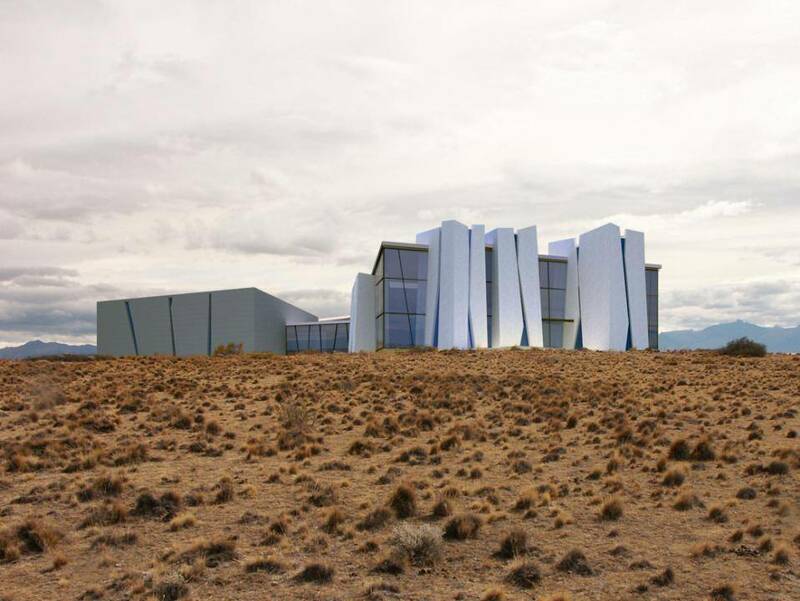 The design of the Glaciarium was conceived as an offshoot of the site where it belongs. 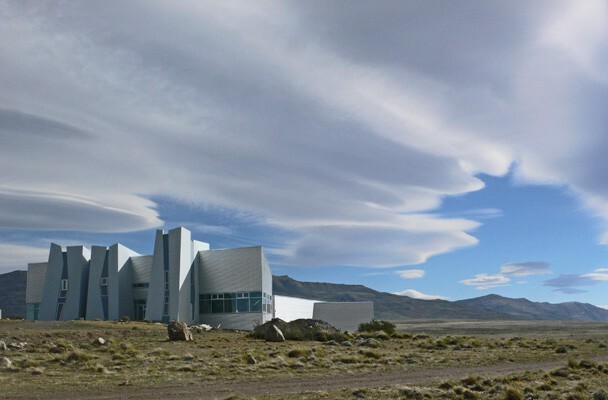 To minimize the impact of the building on the natural environment, the designers recreated collisions and overlapping of shapes that recall the suggestive ice wall of the Perito Moreno Glacier. 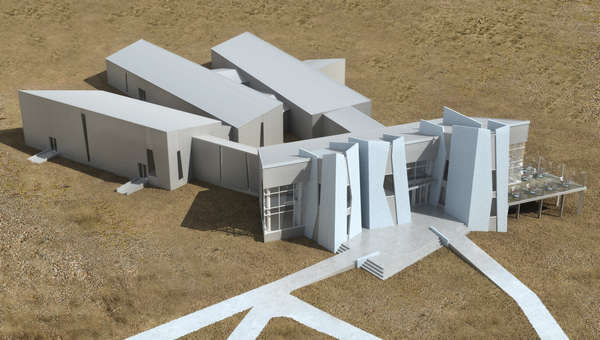 The result is a visual game of geometries that gives the Museum an appearance of motion that adapts perfectly to the surrounding environment. 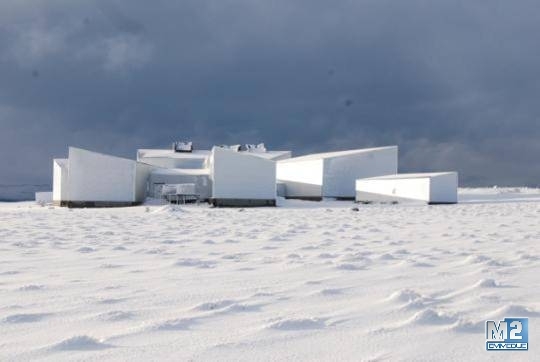 Emmedue contributed to the construction of the Glaciarium with its own Advanced Building System, whose heart is the Emmedue single panel in expanded polystyrene, enclosed by a double-galvanized steel mesh. 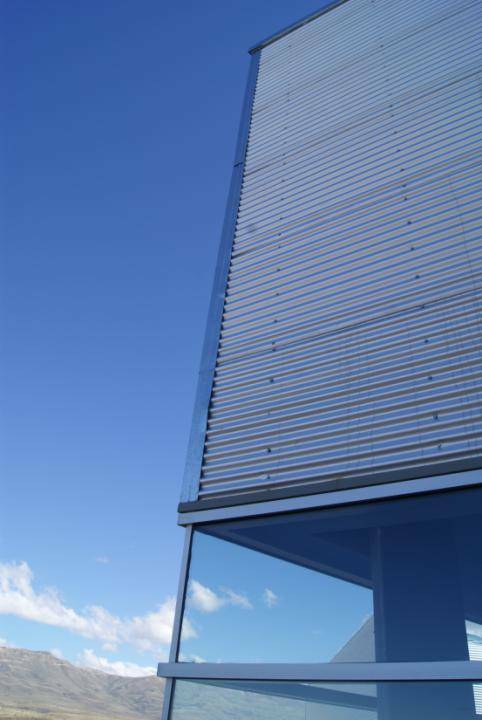 Thanks to the Emmedue panel, the Emmedue Advanced Building System has enabled the completion of a high quality building with substantial savings, due to the efficiency obtained in the construction of the work, movement and assembly of the panels. 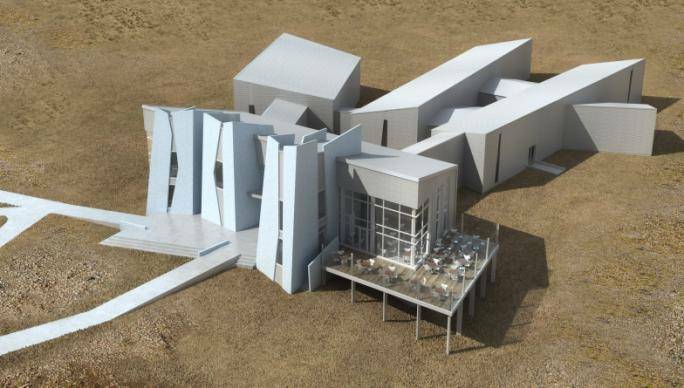 Consider that a raw structure created with the Emmedue System has an estimate cost of about 30% less than a traditional structure, but it offers even better performances. 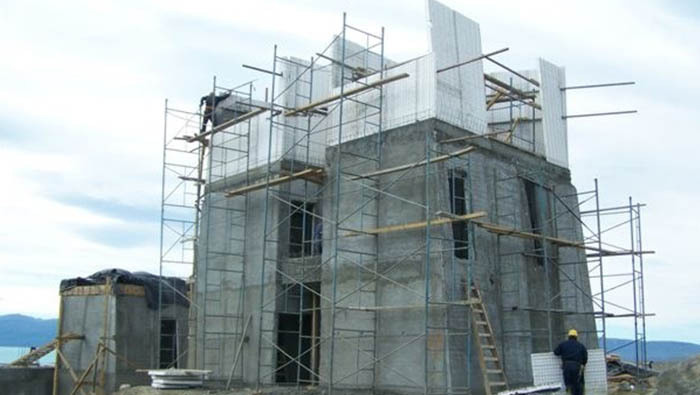 Choosing to use the Emmedue Building System has certainly been a winner, not only economically speaking, but also, by guaranteeing the desired thermal insulation. 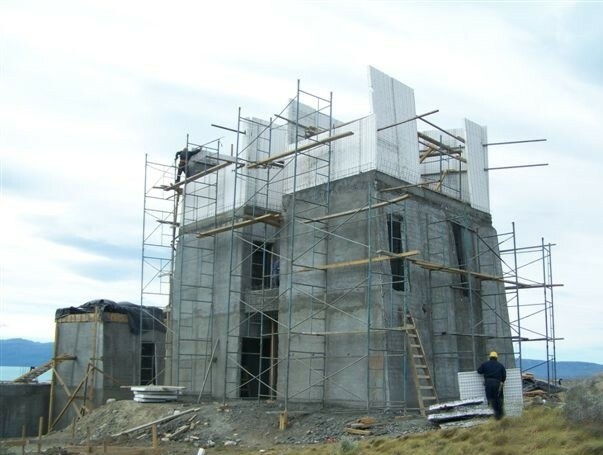 In fact, the thickness and density of the panel can be customized according to the specific thermal insulation needs. 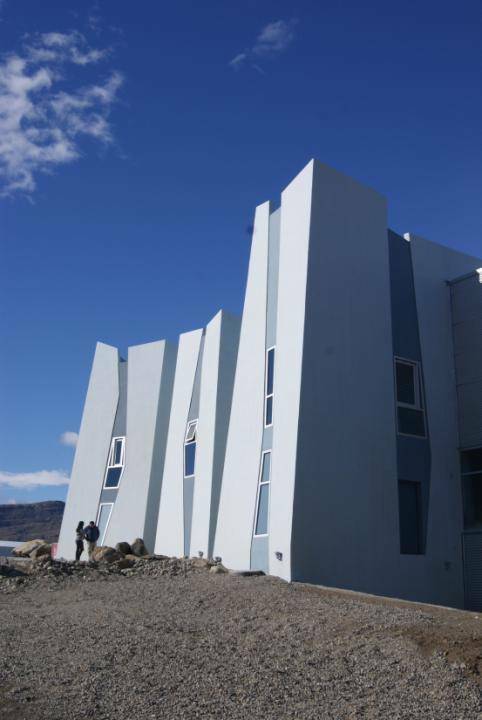 This is a fundamental aspect for the Glaciarium, located at the foot of the icy Cordillera of the Andes, where it is therefore essential to ensure the thermal comfort of the rooms. 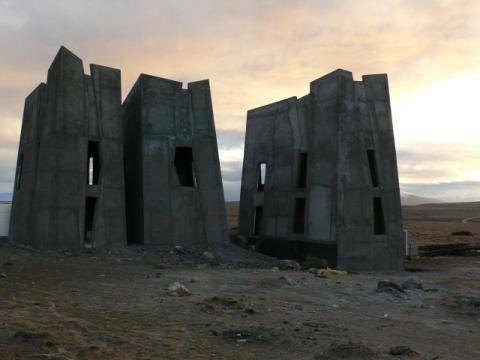 ​Despite the extreme conditions of where the site is located, this brilliant System has allowed the completion of the project in line with the scheduled times, always thanks to the speedy installation and ease of transport of the panels.